He teased me for "working too hard, but in a good way." She told me a thousand other kids would feel lucky just to be in my place, so I should be thankful and keep working hard. They joked that I was the "chapter mom," because I made sure everyone had study materials and snacks. One helped me study, another patted my back. Some blocked my car so I couldn't leave without a hug, others pointed out my strengths when I felt my weakest. But ALL of them, in their own way, encouraged me. My biggest inspiration has been those in the blue corduroy right beside me, and my two advisors who have helped me be successful. My inspiration is Ms. Aoi and Mr. Knapp, Callie, Gaby, and Maddie; it's Kinley, Thomas and Bryce and the sweet little girl I watched give the creed in class today; it's Kolton, Sydney and Austen; it's the boy who said, "great speech!" when I walked off the stage even though I never knew his name, and countless others! It's the community service groups, the competitors, the officers. 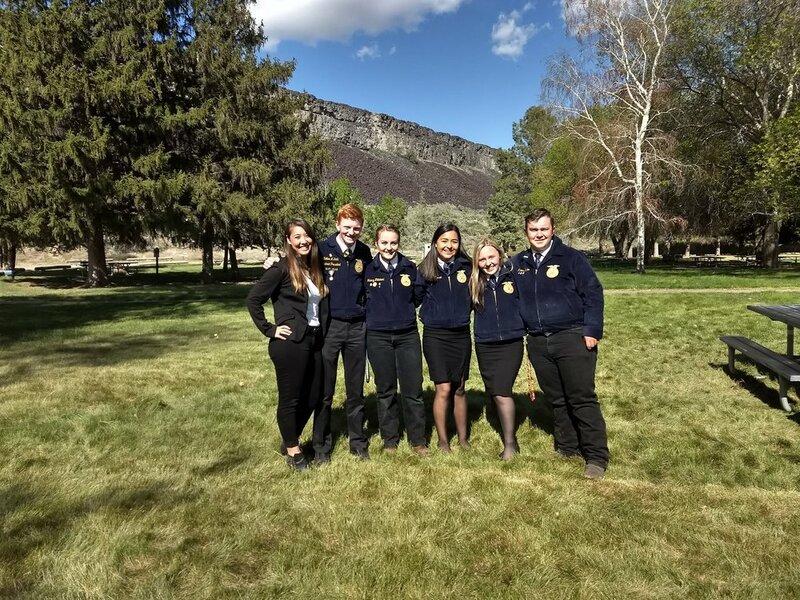 My inspiration is those FFA kids who do the right thing even though it's the hard thing, who keep pushing me to do my best when I don't think I'm capable, and who smile my way when I just want to cry. But my biggest part of that inspiration is when I see those people helping others. I love to watch encouraged thumbs up and jokes to ease nervous tension unfold. The uplift I see throughout this organization restores my faith in the rising generation and the world. It's the sense of camaraderie felt by everyone in the room wearing the FFA jacket. Good people and good students in FFA help me work hard and for that I can't thank them enough. You guys keep leading, working, and succeeding. Older PostWho Inspires Ms. Frank?